Thermal Insulation requirement is felt where-ever comfort conditions are desired and energy to be optimally utilized. Broadly speaking, where the insulation is used to prevent heat loss from the process the term hot insulation is used. Where the insulation is used to prevent heat gain to the process the term cold insulation is used. However, in recent times radiant heating or cooling has gained a lot of popularity. Thus classification could be on basis of application, such as ‘Hot’ or ‘Cold’. This classification could then be further sub-divided into the products that determine such applications, wherein the products offered by The Supreme Industries Ltd. and the competing products form part of the cold insulation applications. Underdeck insulation in PEBs, textile units, malls, airports etc. Ducting insulation in hospitals, shopping malls, airports, PEBs, IT/ BPO etc. Pipe insulation for split AC tubings, chiller piping, drain pipes, chilled water pipelines etc. 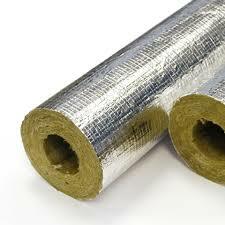 Overdeck and wall insulation in commercial buildings, residential buildings, cold storages etc. We strongly recommend that all buildings where human effort is involved or where the process so requires, be insulated for a better working environment & productivity.